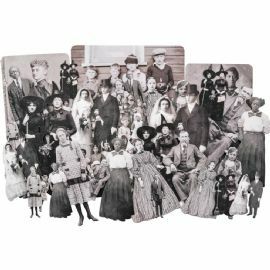 Paper Dolls: A gathering of clipped vintage portraits used in collage or mixed media. 34 pieces. Pack contains an assortment of vintage Halloween themed photographs.